The mission of Swaddling Clothes is to share the mercy of Christ with our neighbors through the gifts of clothing, food, friendship, and the forgiving Word of God. 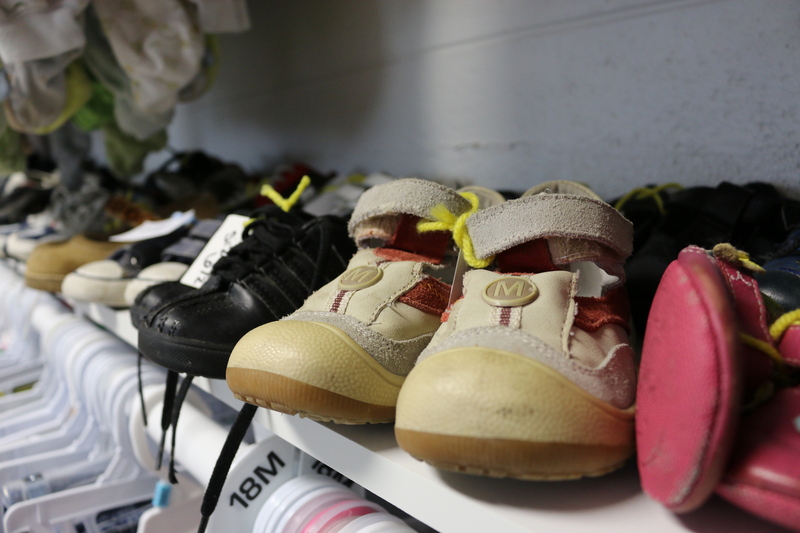 From various donors, we assemble a collection of items associated with pregnancy and motherhood—maternity and baby clothes, diapers, formula, bottles, etc… Then, each location hosts a “shopping days” where you can survey our collection and take whatever you need, up to a certain number of items. If any of the items you take can be re-donated to Swaddling Clothes when you are done with them, we ask that you do so to help those in need after you. We also partner with a number of other organizations, providing you with referrals if you are seeking counseling, health care, employment, etc… And, of course, being a part of a Lutheran congregation, we are always ready to share pastoral care and a Gospel word with those who need them. God’s eternal Son began His earthly life as an embryo. And when that embryo was a grown man, He shed His blood for the entire world, including those who were nothing more than a few cells in their mothers’ wombs. For this reason, God never wants abortion to happen. And, as Christians, one of the greatest ways we can help keep our neighbor far from this temptation is by making pregnancy less frightening. If you’re frightened that you don’t have the resources to care for the child in your womb or the children outside your womb, we’re here to help. If you’re scared that you don’t know how to navigate this new part of your life, we’re here to help. If you’re worried about judgment or rejection, we’re here with God’s word of mercy and hope, a word that no one can take away from you. Christ loved you from your very beginning. He’ll love you to the end. That’s why we’re here. Can my congregation begin a Swaddling Clothes program? Because there are people in virtually every American community who need the kind of help that Swaddling Clothes offers, we encourage any LCMS congregation that is interested in starting their own branch of Swaddling Clothes to contact us. In order to preserve the common confession of faith that drives Swaddling Clothes, we only share our name, logo, and identifying documents with those in our church body. However, if your congregation is not part of the Lutheran Church Missouri Synod, and you would like to begin a similar program, we certainly encourage you to do so and would be more than happy to answer any questions you may have. Please contact Katie Fiene at kfiene@swaddlingclothes.org or 815-467-0641 with any questions.